Loaded with Spirit of Play. Ugears Team at Spielwarenmesse in Nuremberg, Germany! Ahead of the trend. Loaded with Spirit of Play. Ugears Team at Spielwarenmesse in Nuremberg, Germany! If you want to know all about hobbies and toys you have to visit the Spielwarenmesse in Nuremberg – the largest international trade fair. 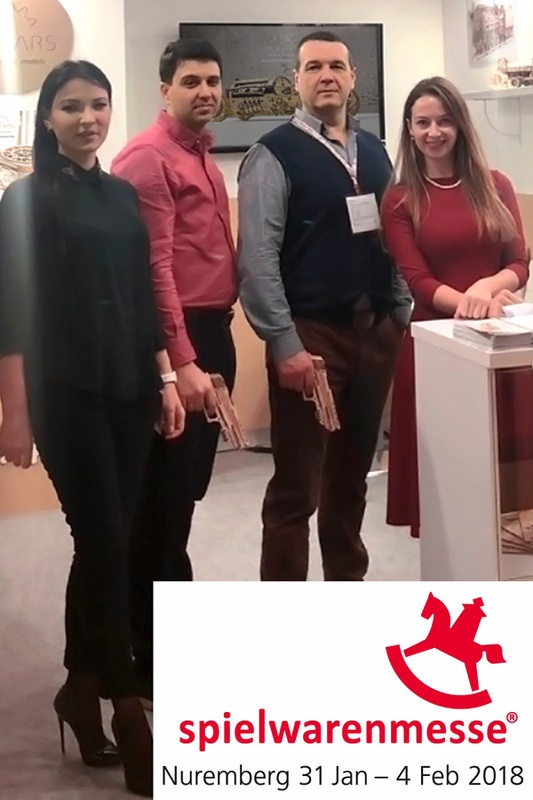 UGEARS team participated at the Spielwarenmesse 2018 in Nuremberg, Germany 31Jan – 4 Feb 2018 at the third time and presents novelties from its collection of the unique self-propelled mechanical models made of wood.